You must be thinking this is all awesome but I have an automobile business, my customers will not buy my cars online so all this talk about Facebook Marketing is not right for my brand. 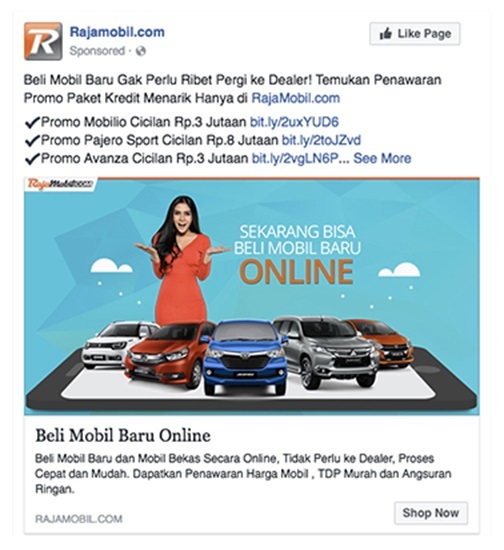 Well, then let’s look at rajamobil.com which has Facebook Marketing successfully for their automobile business. 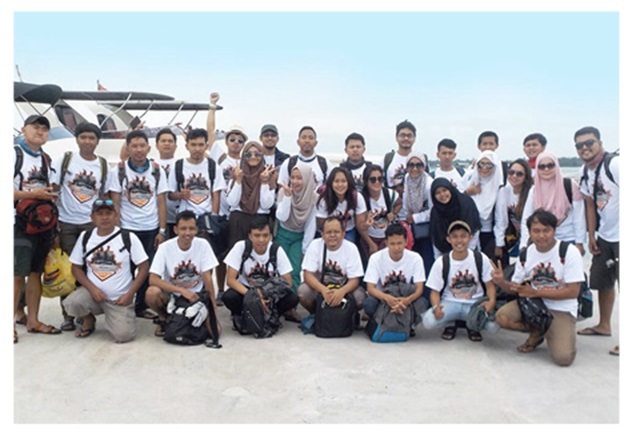 Based in Jakarta, Rajamobil.com is an online marketplace in Indonesia that gives car buyers and sellers a platform to trade both old and new cars. As covered in our blog regarding business objectives Facebook Business Page Objectives – Every business needs to map out their business goals to reach by using any kind of marketing. 1. To get more leads for car sales in a cost-efficient way by using dynamic ads and placement optimisation. Rajamobil.com wanted to use Facebook to acquire more leads in addition to those it already gets through its online marketplace. So it ran a dynamic ads campaign to generate more leads for its salespeople to then follow up with a sales call. First, the automotive portal ran carousel and photo ads showing cars that are on sale in its marketplace. As shoppers clicked on these ads, they were redirected to the marketplace. There, it tracked its visitors using Facebook pixel to efficiently learn about their unique behaviors and interests. The shoppers were then retargeted with dynamic ads on Facebook featuring the cars from the marketplace that they were keen on. The dynamic ads were also used to target lookalike audiences similar to the people who showed interest in its cars. 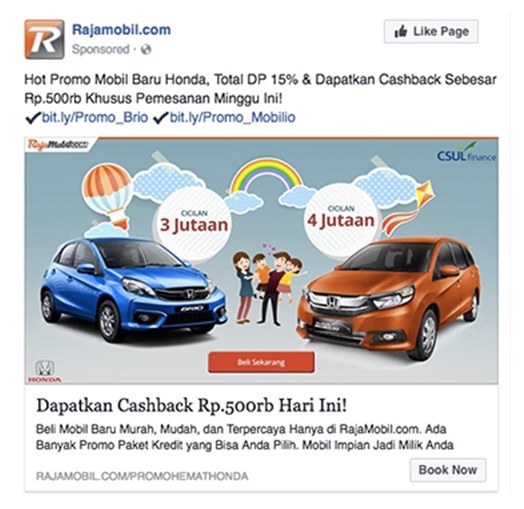 To make the best use of its budget, Rajamobil.com used placement optimisation, which allowed Facebook to automatically allocate more budget to the most responsive placement—helping the brand to reach more people for more leads. How to Engage Audience on Your Facebook Business Page.